In addition to its graduate program in acupuncture and Chinese medicine that attracts students from around the country and faculty from around the world, AOMA serves the greater Austin community through its student and professional clinics, informal classes in Asian mind-body practices such as taiji and qigong, collaborative forums for Eastern and Western medical practitioners, the international Southwest Symposium, and other continuing education opportunities for professionals. AOMA contributes to the greater Austin community by offering reduced-price acupuncture and herbal medicine to veterans and their families, to low-income patients at Seton and People’s Community clinics, and to local musicians. AOMA also offers free lectures on stress management to local businesses. AOMA is located at 4701 West Gate Blvd. AOMA also serves patients and retail customers at its north Austin location, 2700 West Anderson Lane. For more information see www.aoma.edu or call 512-492-3034. Through the production of The Austin Fine Arts Festival and other community events, the Art Alliance Austin is a non-profit organization that exists to enrich Central Texas’ cultural community and promote the visual arts. Since 1956, Art Alliance Austin(formerly the The Austin Fine Arts Alliance), has raised more than $2 million dollars for the Austin Museum of Art through its annual arts festival. Today, the organization has more than 160 members who volunteer their time to organize Art City Austin (formerly The Austin Fine Arts Festival). 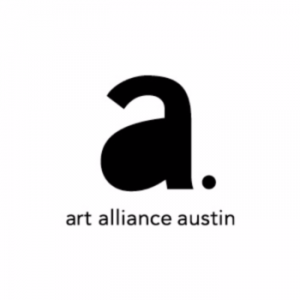 At the intersection of life and art, creativity and commerce, collaboration and imagination, Art Alliance Austin is a member-powered organization where they make art possible. They do it because art is a force and people need it to thrive. They produce really great art events to inspire citizens, catalyze artists to create, support the understanding and collection of visual art, and to hasten city-wide collaboration. They stimulate the local economy with collecting, travel, and money in the pockets of artists. They connect leaders and big organizations to make possible the profitable and the whimsical. With member events throughout the year, their efforts culminate each spring with an annual art fair: Art City Austin. This project is funded and supported in part by a grant from the Texas Commission on the Arts and in part by the City of Austin Economic Growth & Redevelopment Services Office/Cultural Arts Division believing an investment in the Arts is an investment in Austin’s future. Visit Austin at NowPlayingAustin.com. Art Alliance connects the public to Austin’s contemporary art community. We work collaboratively with artists, museums, independent curators, and galleries to create a diverse and powerful series of programming which highlights Austin as an emerging contemporary arts capital. Art Alliance’s mission is to support and contribute to the growth, prominence, and sustainability of Austin’s art scene, ultimately making Austin a great art city. What we do? 1) Produce and curate Art City Austin, Art Alliance Austin’s 3-day art fair. It’s the largest art marketplace in central Texas and includes top contemporary art galleries from across the state. 2) Promote the entire Austin visual art community, each week, with Austin Art Weekly. A free and comprehensive guide and the best arts resource in Austin. 3) Throw Austin’s biggest and craziest contemporary art party each fall, ARTBASH. 4) Austin Art Breaks are unique monthly experiences that educate and connect Art Alliance members to Austin’s visual art scene. 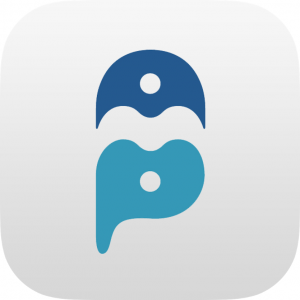 5) Produce Pecha Kucha, a local chapter of the global phenomenon. PK is comprised of brief talks by members of Austin’s creative community including Oscar nominees, Grammy winners, and Austin’s best artists and designers. 6) The leader of Art Austin, a coalition of galleries, museums, and art spaces designed to work together to elevate Austin’s fine art community. 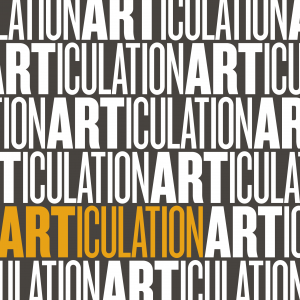 ARTiculation objectives focus on growing a supportive and informed community of artists and acts with the purpose and intent of providing a voice for Austin’s visual artists. We maintain a membership base that creates community, strengthens the voices of artists advocating for inclusion in the City of Austin’s Economic growth and provides financial sustainability for the organization and its members. We do this by focusing on the tangible goal of providing a platform that allows like-minded artists, who want to be part of a supportive and encouraging collective, to come together, share resources and exhibit their artwork in regularly scheduled art shows. The mission of Austin Book Arts Center is to engage people of all ages in creative, interpretive, and educational experiences related to the arts of the book. ABAC regularly offers workshops in letterpress printing, bookbinding, paper making, typography, book history and design, and various arts of the book. In addition, ABAC will provide access to equipment for qualified users during regularly scheduled Open Studio times. VISION Through its activities, ABAC seeks to advance the book as a vital contemporary art form, preserve the traditional and robust crafts related to making books, promote the contemporary arts of making books, inspire diverse artists and learners, and engage the community in creative, interpretive, and educational experiences, including the improvement of literacy for people of all ages. ABAC rejects the millennial notion that the printed book is no longer relevant. For centuries, the book has been the prime mode for communicating knowledge and continues to be a vital force for literacy and education. We envision a future where books continue to play an important role in our everyday lives. Our children and grandchildren will share with us the tactile experience of holding a book in our hands and turning the pages, no batteries required. Through books we learn of the world around us; imaginations are sparked; spirits are ignited. We seek continuity in these intellectual experiences and wish to share the delight in the sight and touch of a well-constructed book. 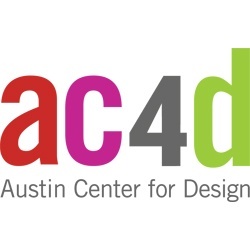 Austin Center for Design exists to transform society through design and design education. This transformation occurs through the development of design knowledge directed towards all forms of social and humanitarian problems. We offer a one year program—held at nights and on weekends in Austin, Texas—that emphasizes creative problem solving in the context of social issues, like poverty and nutrition. You’ll learn about human behavior, technology, and novel approaches to business strategy. The program is ideal for designers, business professionals and technologists with several years of experience doing professional work, or for more established professionals looking to change the trajectory of their careers. We also offer 10 day executive and practitioner training, for leaders and individual contributors in marketing, technology, design, non-profit and policy organizations. These programs present actionable information, and are taught by industry leaders. The mission of the Austin Children’s Museum is to inspire young children and the adults in their lives to experience the joy of learning through the power of constructive play. 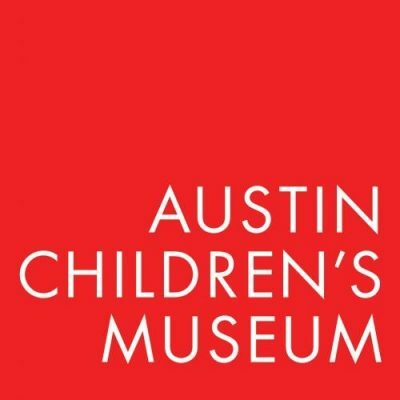 The Austin Children’s Museum, founded in 1983 by a grass-roots coalition of parents and educators, originally opened as a “Museum without walls” with exhibits and programs hosted in schools, parks, recreation centers, libraries, and malls. More than 800,000 visitors have enjoyed exhibits and programs since the museum opened its doors. Design it. Make it. Try it out! Their newest permanent exhibit, Tinkerer’s Workshop, is designed to inspire children to investigate engineering concepts, tinker and build things, observe materials and tell someone about it. Come out and play EVERY Wednesday night and enjoy exhibit galleries and a variety of hands-on activities at Community Night. There is a suggested $1 donation. This project is funded and supported in part by a grant from the Texas Commission on the Arts and in part by the City of Austin Economic Growth & Redevelopment Services Office/Cultural Arts Division believing an investment in the Arts is an investment in Austin’s future. The Austin Creative Alliance will strive to achieve its mission through work in three main areas: Advocacy and Cultural Policy; Marketing and Communication; Membership and Services. Its tools will be conversation, collaboration, convening, research, innovative consulting and technology. The goal is to build an inclusive, transparent and responsive Alliance that can effectively serve and nurture Austin’s vibrant cultural ecosystem. This project is funded and supported in part by a grant from the Texas Commission on the Arts and in part by the City of Austin Economic Growth & Redevelopment Services Office/Cultural Arts Division believing an investment in the Arts is an investment in Austin’s future. 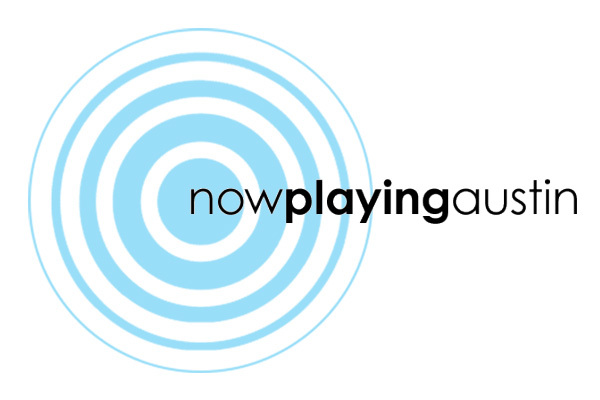 Visit Austin at NowPlayingAustin.com. “A musical sisterhood” – that’s how Austin Girls’ Choir singers like to describe their choir! With 28+ years of service to girls age 8-18 in the Austin/Round Rock metro area, this 501(c)(3) nonprofit not only delivers a great music education, but also provides a strong sense of community and terrific formative life experiences. Younger girls practice Tuesday and Thursday evenings; advanced singers rehearse Sunday afternoons. The girls sing a wide range of genres in 3- to 6-part harmony. Placement auditions are being scheduled now for immediate entry at all levels. Please visit www.girlschoir.com for more information! 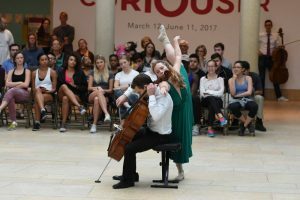 The Austin Museum Partnership was created in 1998 for the purpose of promoting Austin cultural institutions with an annual all day event that is free and open to the public. Venues all over the city of Austin have activities and the doors are wide open to all for the whole day! Austin Music Foundation (AMF) strengthens and connects the local music community with innovative programs that empower musicians and fuel Austin’s creative economy. AMF provides programs to help local artists navigate opportunities in the music industry and services to unite the local music community through: EDUCATION specifically tailored to today’s music business climate; OUTREACH efforts to determine artists’ concerns combined with public awareness initiatives to inform the wider audience about music-related issues; and UNIFICATION of local artists and music businesses to foster a sustainable music community. This project is funded and supported in part by a grant from the Texas Commission on the Arts and in part by the City of Austin Economic Development Department/Cultural Arts Division believing an investment in the Arts is an investment in Austin’s future. Visit Austin at NowPlayingAustin.com. Established in 1960, the Austin Nature & Science Center’s (ANSC) mission is to provide hands-on educational exhibits and recreational activities that increase awareness and appreciation of the natural environment. Centrally located on the western edge of Zilker Park in the Zilker Nature Preserve, the ANSC offers indoor and outdoor exhibits and provides environmental science education programs to schools and the community in and around Austin. The mission of the Austin Planetarium is to elevate interest, understanding and participation in the areas of science, technology, engineering and mathematics (STEM) for the Central Texas community; to develop and implement educational outreach programs and resources; to create Austin’s first science museum, planetarium and technology center Starry Sky Austin’s intention is to bring people a new perspective through learning about the universe above. What once seemed important to worry about suddenly loses its steam when you are looking at Saturn’s rings. Our hope is that everyone walks away from our time together with a re-awakened sense of child-like wonder and appreciation for the magnificence and beauty our universe holds. 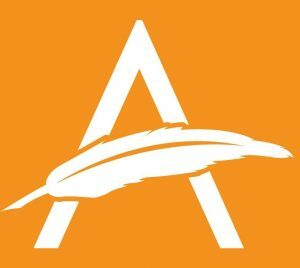 APS brings poets and poetry lovers together to meet, mingle, and support each other. We offer monthly programs and contests. The Austin-Pune Sister City Initiative is dedicated to fostering relations and exchanges between the City of Austin, Texas and the City of Pune, Maharashtra, India with the ultimate goal of establishing an official sister city relationship between the two cities. The Sierra Club Mission is to explore, enjoy and protect the wild places of the earth; to practice and promote the responsible use of the earth’s ecosystems and resources; to educate and enlist humanity to protect and restore the quality of the natural and human environment; and to use all lawful means to carry out these objectives. The Austin Regional Group of the Sierra Club is a grass-roots volunteer organization comprised of individuals from Austin and the surrounding region who care about the environment. The Austin Symphonic Band is the official band of the City of Austin. Under the baton of Music Director Richard Floyd, this Texas-based group has become one of the nation’s premier volunteer concert bands. The band was awarded the John Philip Sousa Foundation’s coveted Sudler Silver Scroll in 1993. The band’s current season extends its tradition of bringing quality music to the Austin community with the continuation of its three-concert Indoor Concert Series. The Series features themed concerts and excellent guest artists. As always, the band will present free concerts at the Zilker Hillside Theater in the fall, on Mother’s Day (on the South steps of the Capitol), and on Father’s Day, as well as other events that allow us to make music more accessible to the greater Austin community.